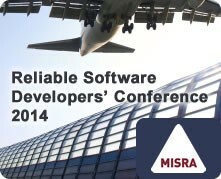 Technology event organiser Energi Technical has announced that it will be launching “The Reliable Software Developers’ Conference”, scheduled for May 2014. As we near the end of 2013, acrosser would like to send you our warmest New Year’s wishes! We wish you and your family health, comfort, and prosperity this holiday season. We also thank you for keeping up with our latest products, sending us inquiries, and choosing our products for your integrated solution! In 2014, we hope you will continue to choose Acrosser. We look forward to assisting you and your company in becoming the leader in your vertical market, and building a win-win relationship together. And don’t forget about our star product, AES-HM76Z1FL, and its upcoming Product Testing Event in January! Remember to mark your calendar, since acrosser is lending the product for free only to selected participants! Please stay tuned for more event information in early January! With your continuous dedication and our commitment to quality, Acrosser is always motivated to make your embedded idea a reality! Posted on December 24, 2013 December 24, 2013 Categories UncategorizedTags automobile computer, Embedded and PC-Based, embedded computer, Embedded PC, Embedded SBCLeave a comment on Acrosser wish you Happy Holidays and a very prospective 2014 coming soon! Comprehensive customization for network appliances: meet our rackmount and micro box! acrosser Technology, a world-leading network communication designer and manufacturer, introduces two network appliances that deliver great performance and protection while simplifying your network. Each product has its own target market and appeals to a unique audience. Acrosser’s ANR-IB75N1/A/B serves as an integrated Unified Threat Management (UTM) device that covers all of your networking security needs. Featuring a 3rd generation Intel Core i processor, increased processing throughput is easily made. For integration with information security systems, the device also features functions such as anti-virus, anti-spam, fire wall, intrusion detection, VPN and web filtering, in order to provide complete solutions to meet the demands of various applications. ‧2 x DDRIII DIMM, up to 16GB memory. As for our micro box, the AND-D525N2 provides more possibilities for different applications due to its small form factor (234mm*165mm*44mm). Aside from its space-saving design, the other 3 major features of the AND-D525N2 are its high performance, low power consumption and competitive price. Please send us your inquiry via our website (http://www.acrosser.com/inquiry.html), or simply contact your nearest local sales location for further information. Besides In addition to these two models, Acrosser also provides a wide selection of network security hardware. With more than 26 years of rich industry experience, Acrosser has the ODM/OEM ability to carry out customized solutions, shortening customers’ time-to-market and creating numerous profits. Posted on December 17, 2013 Categories UncategorizedTags automobile computer, Embedded and PC-Based, embedded computer, Embedded PC, Embedded SBCLeave a comment on Comprehensive customization for network appliances: meet our rackmount and micro box!